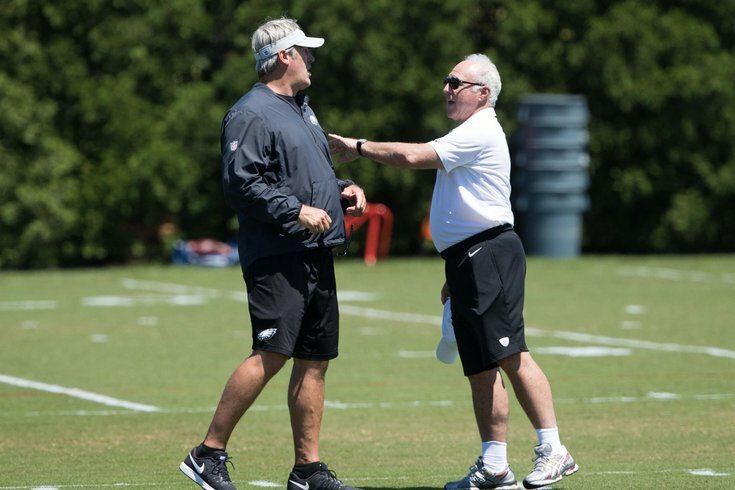 Jeffrey Lurie picks a fight with Doug Pederson during Eagles minicamp. When the Philadelphia Eagles wrapped up a three day minicamp on Thursday, we entered into by far the longest lull of the offseason, as the team will not rejoin together until the end of July. Got questions or comments? Jimmy Kempski has you covered on whatever may be on your mind about the Birds. Who looked good this spring? Who didn't? Are there any players who could still be dealt in a trade this offseason? Is anyone still interested in all the White House nonsense? Beginning at 1 p.m. today, Jimmy will take your questions in another Eagles chat. Be sure to join him here.